Hah! Bet you thought we’d move on to GTA IV today – but no. Instead, we’re going to look at the good, the bad, and the ugly of the handheld Grand Theft Auto Games. While the series was born on PC and later made its home very much on consoles, the series has found its way to various handhelds over the years. It didn’t exactly start off well. 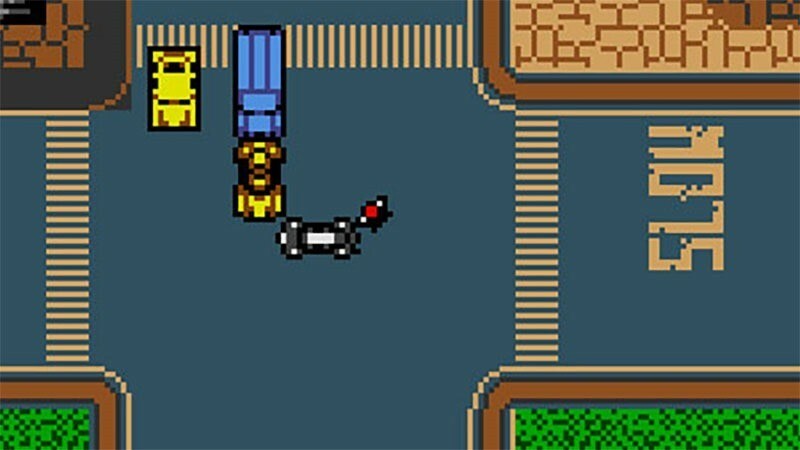 Grand Theft Auto’s first foray in to mobile gaming was on a Nintendo handheld; specifically the Gameboy Color. It was an ambitious attempt to bring the full GTA experience to a tiny, portable screen. And it failed, hard. Developer Tarantula Games certainly tried though, but the limited resources available to them on the GBC means consumers ended up with a game that on the surface of it, at least resembled GTA. It didn’t play like GTA though. It had a terrible, unwieldy control scheme, terribly repetitive boops-and-beeps in lieu of actual music, and the blood and gore was excised to keep Nintendo and its censors happy. GTA without violence? Why? It really didn’t improve much the year after. Tarantula Games delivered another unfulfilling port the next year with Grand Theft Auto 2 for the Gameboy Color, which somehow managed to be even less engaging than their last effort. Like the previous one, it was terrible to control, and was still missing the signature violence that makes GTA, well…GTA. It was but a sliver of the GTA experience, a vertical slice. And it wasn’t very good…like a bit of cake that’s all plastic icing and no sponge. Four years later, and new hardware from Nintendo meant the next Grand Theft Auto to hit handhelds was a technically better game. It was actually announced as a port of Grand Theft Auto III, but I think somebody somewhere was smoking something very strong, as the Gameboy advance was incapable of decent 3D graphics. Instead, the game ended up being a prequel to the game that kickstarted the GTA 3D revolution. Set in the same Liberty City that GTA III’s Claude ran amuck in, it starred new protagonist Mike, and delivered gameplay similar to the original GTA games, only peppered with some of the more modern embellishments added to the 3D games. It even featured many characters from GTA 3, and set the stage for that game’s intro. Unfortunately, technical limitations kept it from being any good. 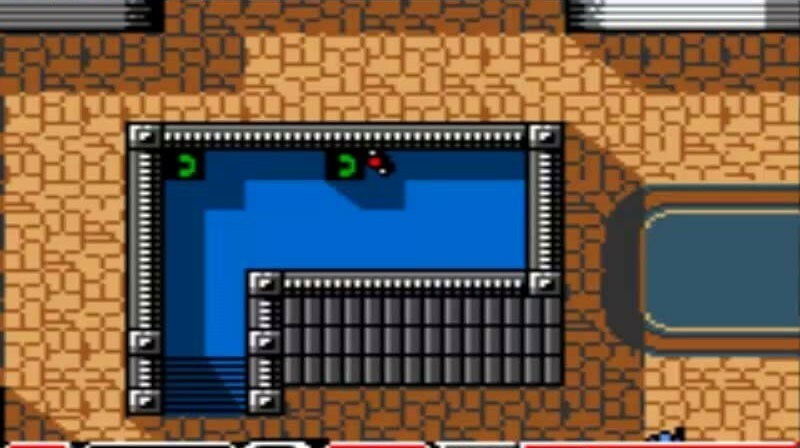 Like previous handheld games it had a single, terribly repetitive audio track, and terribly limited missions variety. 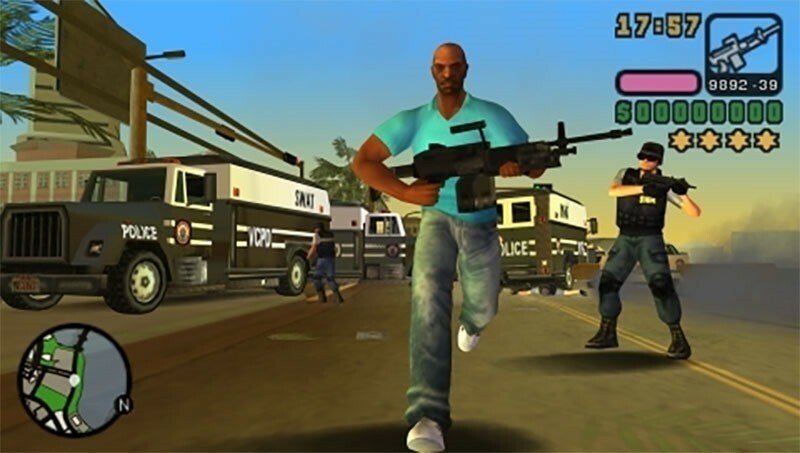 It received critical acclaim despite this, though its release on the same day as the much-anticipated GTA: San Andreas means it was largely overlooked. The relative graphical prowess of Sony’s first handheld meant that handheld gamers finally go the full, 3D Grand Theft Auto experience they craved. Liberty City Stories offered the full experience with very few compromises. Despite only having one analogue stick..like..nub…thing, Liberty City stories controlled rather well, delivering a full on-the-go GTA experience. With a new leading many in mobster Tony Cipriani, the prequel was set in a Liberty City that mirrored the one seen on home consoles. And it delivered, even offering a 6-player ad-hoc multiplayer across 7 modes of inner-city mayhem. It even featured the very same radio stations from GTA III, and allowed PSP users to create custom radio stations using the MP3’s stored on their memory cards. Where Liberty City Stories told new tales set within GTA’s fictional New York, it’s took us back to faux Miami, with Vice city Stories. 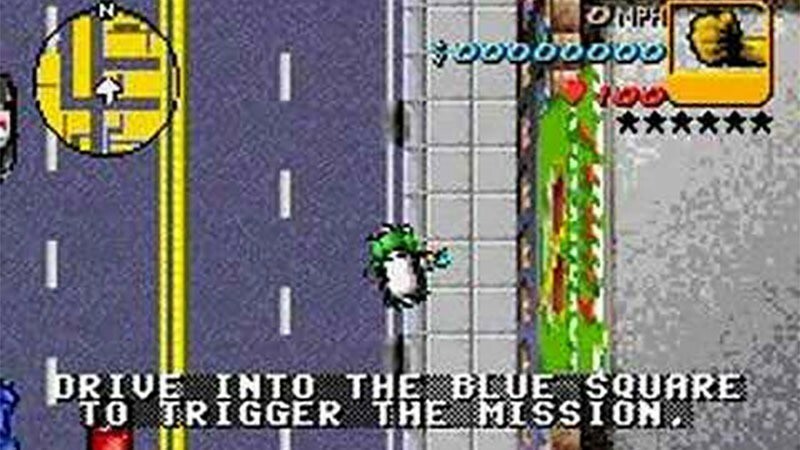 In it, you play as Victor Vance, brother of Vice City’s protagonist Lance. “Vice City, 1984. Opportunity abounds in a city emerging from the swamps, its growth fueled by a violent power struggle in a lucrative drug trade. Construction is everywhere as a shining metropolis rises from foundations of crime and betrayal. As a soldier, Vic Vance has always protected his dysfunctional family, his country, himself. For some reason, the game featured Phil Collins. It offered much the same gameplay as Liberty City Stories, but brought in a new element called “Empire Building,” which was similar to how Vice City and Sand Andreas had you opening and operating various businesses on relinquished property. It was the last game set in the interlinked universe started with GTA III. Where the PSP, with its 3D graphics capabilities got the full GTA experience, Nintendo gamers had to settle for something different. 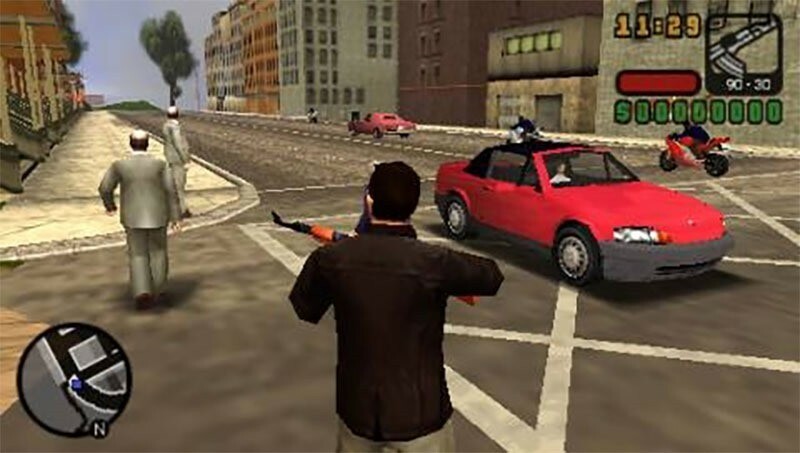 The first game on the DS to get an 18+ certification was GTA: Chinatown Wars which brought back the top-down view, but allowed for full camera control. It may have captured the soul of the original GTA games, but it infused them with a soul of its own. Featuring a new Chinese protagonist in Huang Lee, the twenty-five year old nephew of Lee Family head Wu Lee. Set in Grand Theft Auto IV’s version of Liberty City, China Town Wars courted its own controversy thanks to its inclusion of an interesting drug-dealing meta-game, that had you peddling heroin, LSD, MDMA, marijuana, and more around the city; buying when the price was right, selling high. It was unusual for a game on a Nintendo platform, something that wasn’t up for debate. 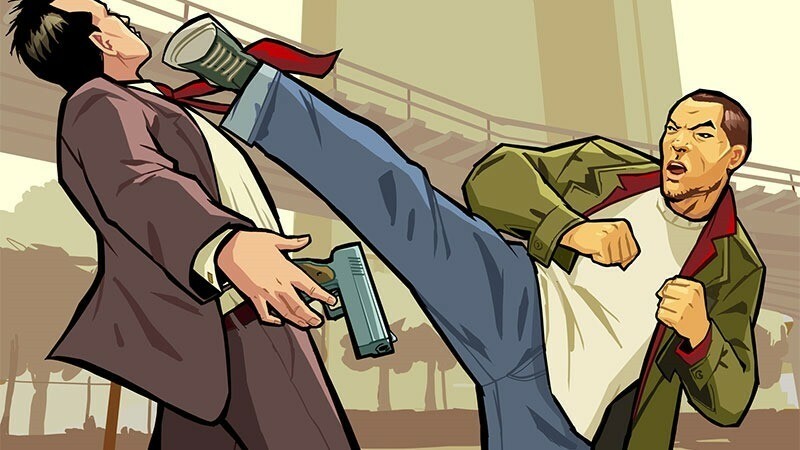 Chinatown Wars featured all manner of other little touch-screen minigames, all of which were lost in translation and replaced with QTE’s when the game was ported to PSP when it just didn’t sell as well as Rockstar and Nintendo had hoped. It’s a pity, because it’s still one of my favourite GTA games. It was eventually also ported to smartphones, along with GTA III, Vice City and San Andreas. Rumours have long circulated that we might eventually see San Andreas stories, perhaps on the PlayStation Vita. With how poorly that handheld’s done though? I doubt it.